Were you arrested in Oldsmar for DUI and have questions about your options? Call the law office of Finebloom, Haenel & Higgins now. We have experienced and aggressive dui lawyers in Oldsmar available now to assist you! You may feel that a first time dui is no big deal. However, the consequences are very expensive and time consuming. For your first offense, you will have a license suspension from six months to one year. There is a mandatory requirement of at least 50 community service hours. It is possible to receive six months in jail (up to 9 months if you blew over a .15) and fines of at least $500 up to $1000. Your car will be impounded for 10 days and you will have to attend and complete dui school and any recommended alcohol or substance abuse treatment. When you consult a dui lawyer, the lawyer can inform you if you have any defenses that could help you avoid these costly sanctions. The dui lawyer can represent you in court so there will be no need to take off of work for every hearing, and if necessary represent you at trial. When choosing a dui lawyer Oldsmar residents have many options. But many dui attorneys in Oldsmar have little experience in the courtroom. Others claiming to be Oldsmar dui attorneys do not have a practice dedicated to dui defense. Instead the dui cases they handle constitute a small portion of their overall criminal practice. At Finebloom, Haenel & Higgins we recognize that dui is a specialized and technical field requiring knowledge of administrative law, scientific principals, local police procedure, national training standards as well as State statutes. We have over 30 years combined experience in dui defense and have taken many of our cases to formal motion or trial. 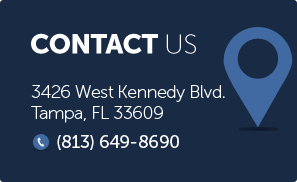 Our Oldsmar dui lawyers are dedicated to the practice of dui defense and will not rest until we have achieved the best possible outcome for your unique situation. Do not delay! When choosing a dui attorney Oldsmar residents deserve the best. It is our privilege to assist you! Call us now at 813-200-4412 to discuss your options. Our dui attorneys are on call 24/7 to assist you. Call now and protect your rights today!